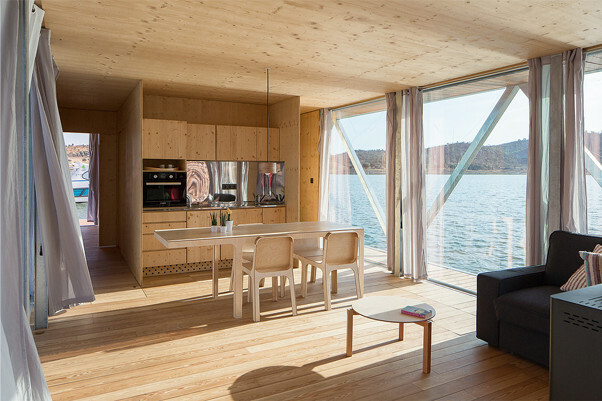 A floating home on the Alqueva Lake. Can you imagine a getaway for two on a mobile house in the middle of a lake or in a pleasant river cove for the entire family or a group of friends, but with the comfort and convenience of a fully-furnished home? Amieira Marina helps confirm the FloatWing®* concept by providing you with the ideal setting and unique moments at the Great Lake. The FloatWing project aims to develop an innovative product for leisure time in touch with nature. 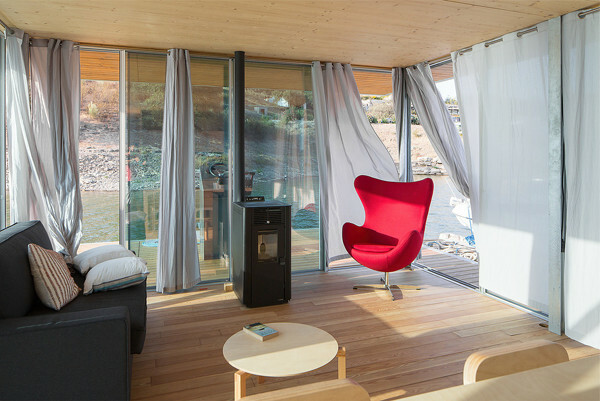 The concept is based on a Floating House providing a stay in a context of proximity to the water, as on a small island. Autonomy, energy and environmental sustainability, fun, responsible relaxing, weekend mood and Mediterranean-style architecture. 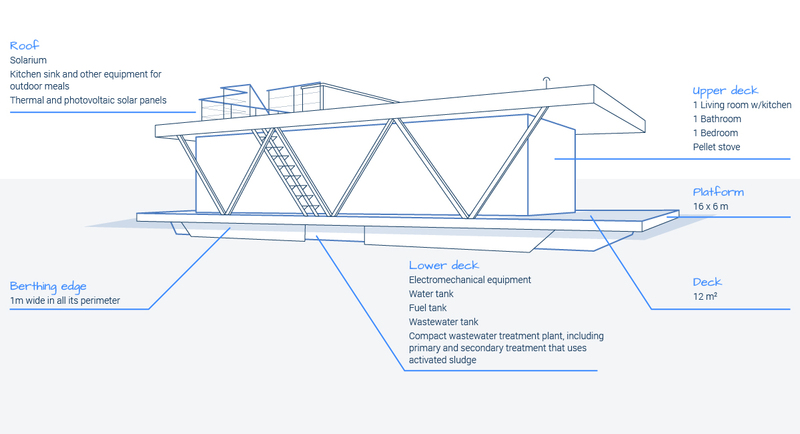 However, after the self-sufficiency time has been used up, the Floating house has to be refuelled (water and fuel) and wastewater has to be drained - to be done at the Amieira Marina. 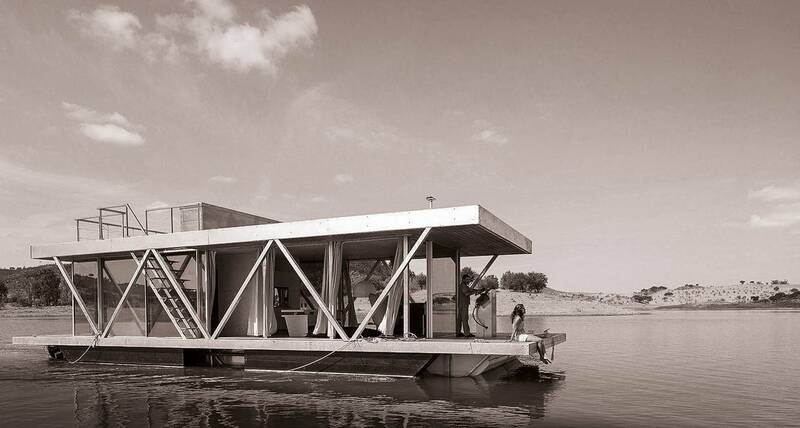 The concept of this Floating House appeals to environmental sustainability while offering the comfort of a home. The annual coverage rate on the Alqueva Lake is estimated to reach about 80 %. Environmental sustainability is one of the key values for those who want nature at their doorstep and, as such, is a core requirement of the FloatWing concept. 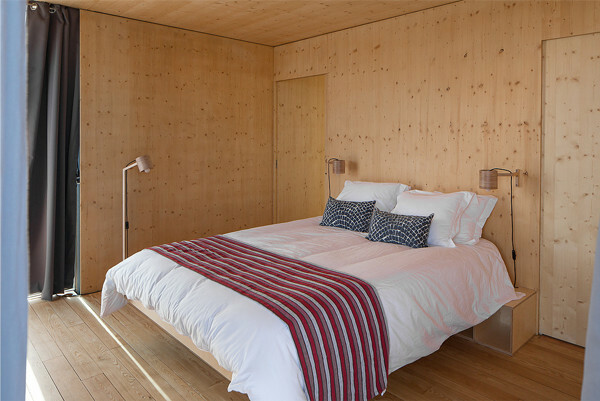 The Floating House is available for sale, but you can enjoy it on a rental basis.